Welcome to St Johns Lutheran Church. We would love to have you join us for worship and Bible class this Sunday! Looking for ABC Preschool? click below for their website. 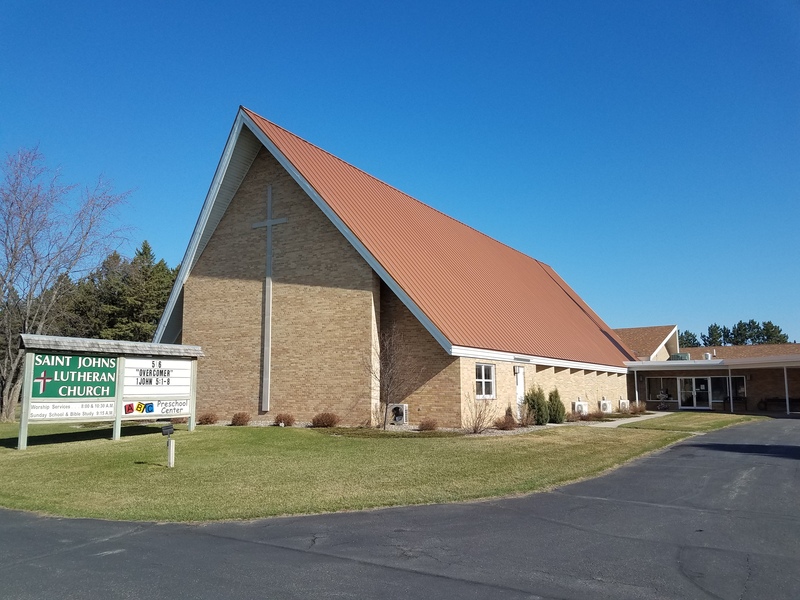 St. Johns Lutheran church has been a congregation in Park Rapids since 1908. We have been worshiping in this building since 1965. Communion Services at noon and 5:30 p.m.
Services at noon and 5:30 p.m.
Breakfast served by Youth, 7:00 a.m.
Festival Service with Communion, 8:00 a.m.
Festival Service with Communion, 10:30 a.m.